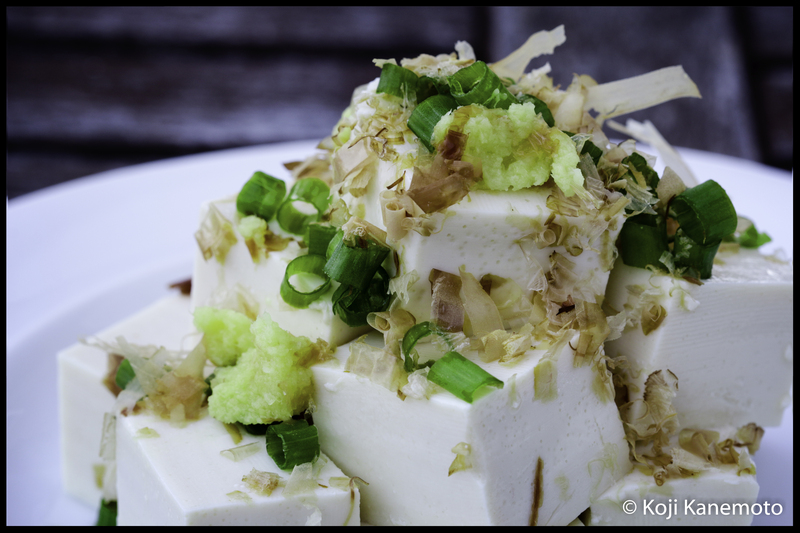 Chilled tofu, topped with green onions, ginger and dried bonito shavings. 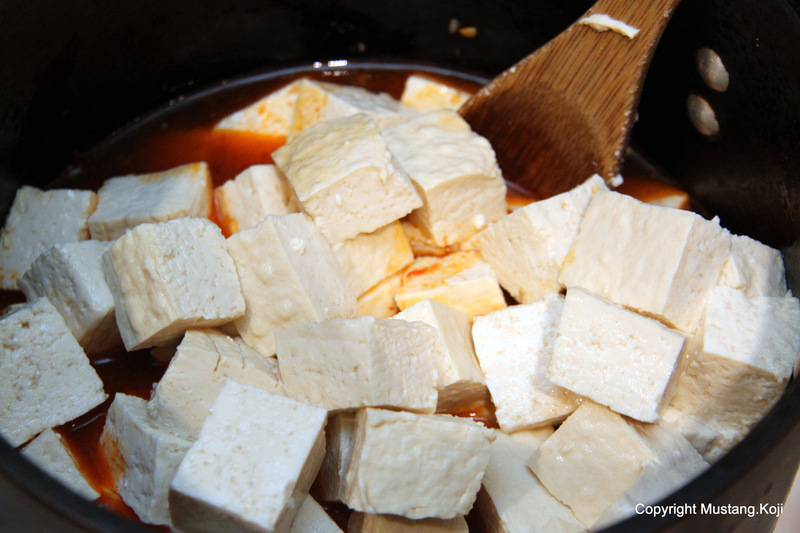 While certainly common as bread among Asians, tofu is akin to “eww” among many of us Americans. 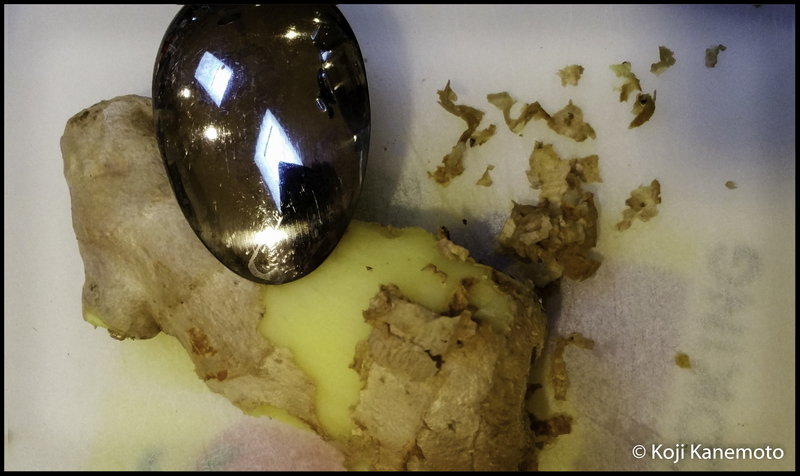 To many, it may have the texture of slightly melting jello and dreadfully bland; but truthfully, it’s pretty darn good for you and perhaps a fine change up in your weight loss efforts… especially when you add zing to it. While data varies slightly by source, my tofu carton’s label indicated it had 60 calories for a “1 inch slice”, or roughly 85 grams. It also has 6 grams of protein. I had “2 inches” for my meal tonight. Dried shaved bonito for texture and added flavor (“katsuobushi”). 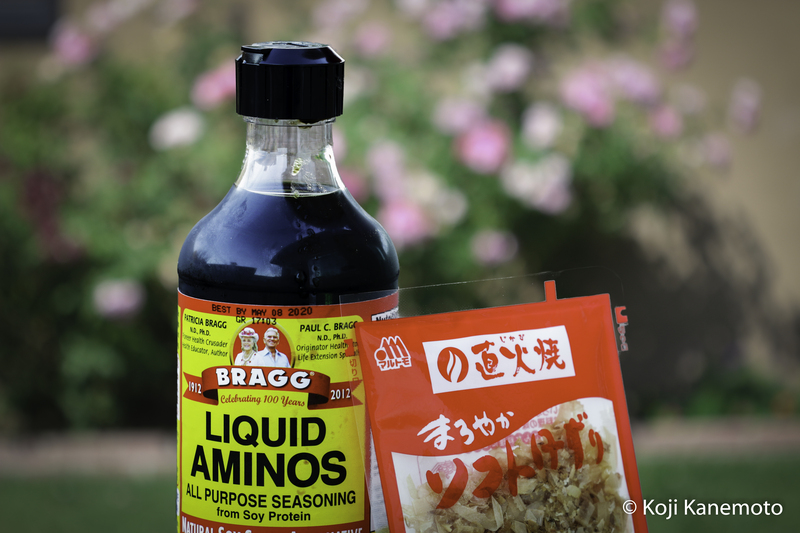 Certain healthy weight loss literature indicates that soy sauce is OK in small quantities but I sprinkled mine with “Bragg’s Liquid Amino” which is allowed. 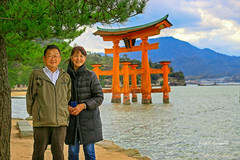 It is close in flavor to soy sauce – like Volkswagen is to Porsche. 🙂 As such and being an Asian boy at heart, I mixed mine at about a 3:1 ratio to be on the safe side. 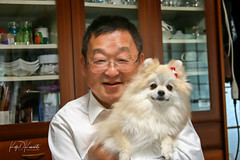 Bragg’s Liquid Amino and a 10 calorie packet of dried shaved bonito, available at any Asian supermarket or online. If you eat sushi, you can eat this! It is satisfying and it does “fill you up”, as they say. Because it’s low in calories, I did add an organic Appleton chicken/turkey sausage (120 calories) as a compliment to complete my meal – grilled without oil, of course. My uneducated guess is that this fulfilling meal was about 400 calories, give or take… and without fuss. So if you’re looking for a break in your meal routine, give this a whirl. Why drive a Volkswagen when you can drive a Porsche? 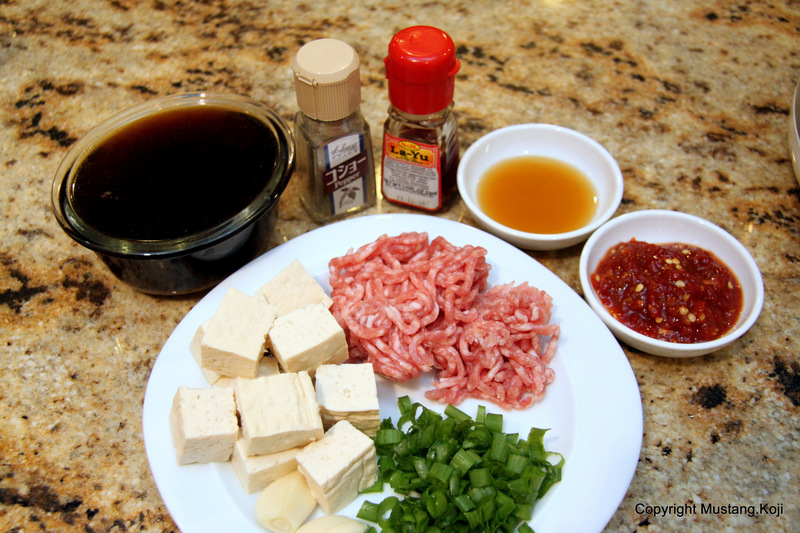 Mabo Dofu – Spicy and YUM-YUMMY! How’s about a little change-up – like in spicy heat? Mabo Dofu! 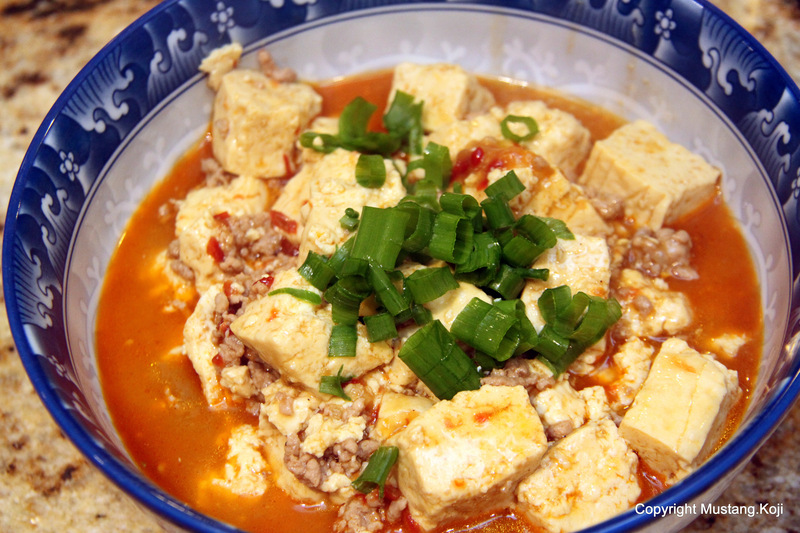 Some call it Szechuan Tofu. Whatever, it is a warm, tasty treat for a cool night…or any meal! It really is quite simple to throw together. And you really don’t need a wok – a regular ol’ pot will do! 1. 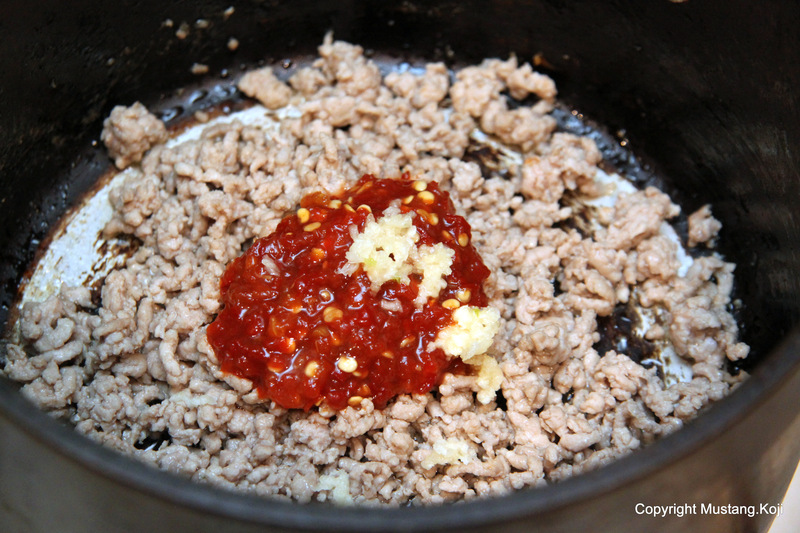 In hot 2 quart sauce pan, drizzle a little oil then brown ground pork over high heat. 2. When browned, quickly add the chili paste and crushed garlic then stir. Cook until pungent, no more 30 seconds. 3. 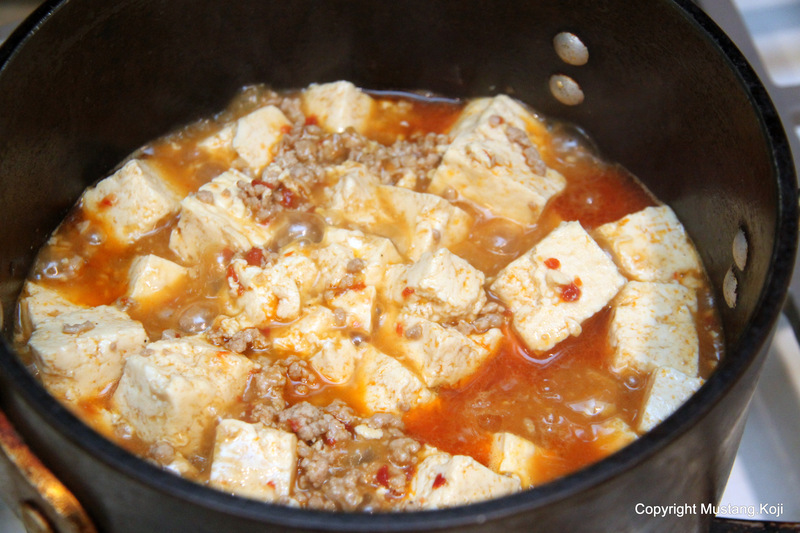 Add braising sauce and carefully add cubed and drained tofu. 4. Stir gently then braise maybe ten five minutes, covered, stirring occasionally. 5. Remove from heat. Stir in sesame oil and chili oil (to your liking) and ground white pepper. Stir in cornstarch slurry to desired thickness. 6. 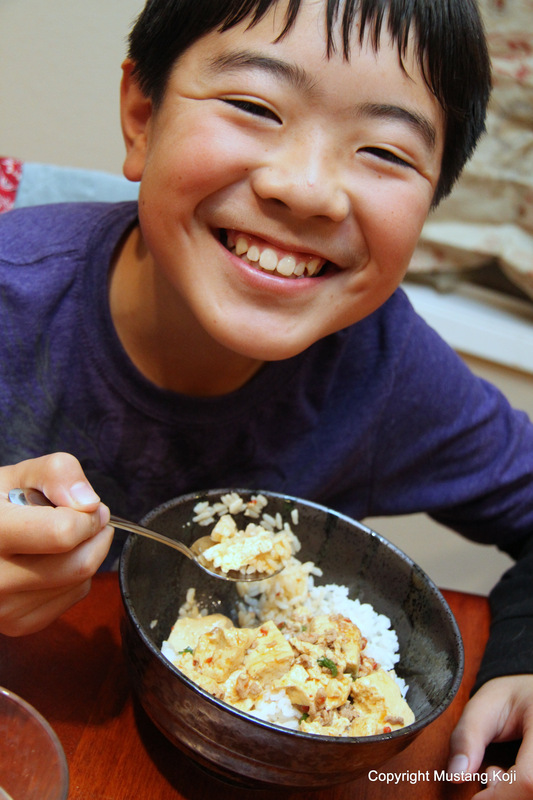 Top off with green onions and serve over rice, ramen or eat it by itself! Easy!